After being completely overhauled as the 2017 model year, the upcoming 2018 Toyota Highlander will arrive with minimal upgrades. 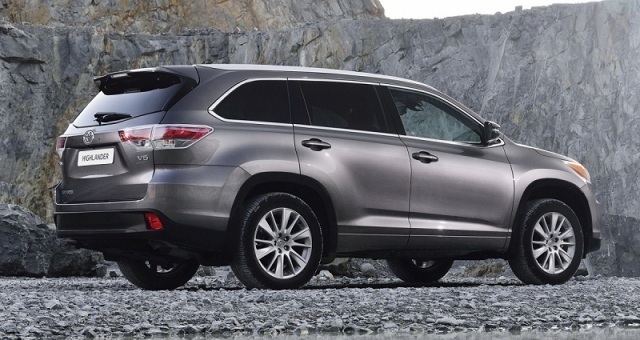 This three-row crossover SUV is one of the most popular models among families. As well, it is also available as the hybrid which represents one of the most fuel economical sport utility vehicles. Furthermore, what makes it so popular in the growing SUV segment is its very cozy and spacious interior, strong engine, very efficient hybrid powertrain and modern safety features. As well, it provides great ride quality and it shows sufficient off-road capabilities. However, what costumers may not like is a bit tight third row and no Apple CarPlay or Android Auto in the offer. 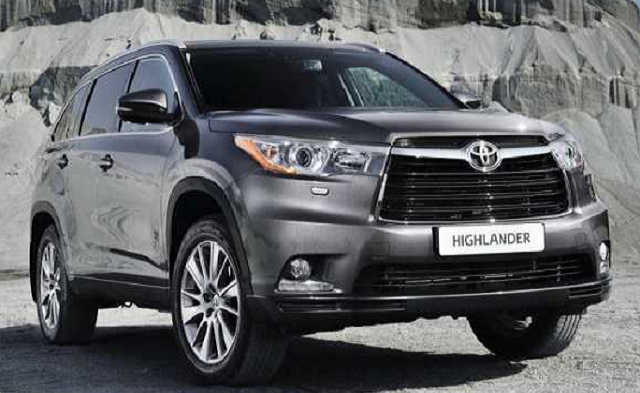 The future Highlander will be available in several trim levels like before. Those are: LE, LE Plus, XLE, Limited and Limited Platinum. It will compete against Volkswagen Atlas, Ford Explorer, Honda Pilot, Chevrolet Traverse and Nissan Pathfinder. The 2018 Toyota Highlander will be available with two traditional and a hybrid unit under its hood. The base engine will be a 2.7-liter inline-4 which will only be available for the base LE trim. This engine will have the output of 185 horses and 184 pound-feet of torque and will pair with a six-speed automatic gearbox. The front-wheel drive system will be standard. The next will be a 3.5-liter V-6 engine which is able to develop 295 horsepower and 263 pound-feet of torque. It will pair with an 8-speed automatic transmission and be available with front and all-wheel drive configurations. Furthermore, the hybrid version will be a combination of the same 3.5-liter V-6, two electric motors and a nickel-metal hybrid battery of 45 kWh. All together, they will be able to produce 306 horses. The engine will pair with a continuously variable transmission. As for the fuel economy, this one gets 30 mpg in the city, 28 mpg on the highway and 29 mpg combined. Speaking of the exterior design, the 2018 Toyota Highlander with continue with the same design as the previous model. It features more aggressive and muscular styling than before but generally you either like it or not. The front end gets large grille and slim narrow headlights. The base model rides on 18-inch 12-spoke alloy wheels while the higher trims will get larger 19-inch alloys. When it comes to interior, the 2018 Toyota Highlander offers spacious cabin with three rows of seats. It will be able to accommodate up to eight passengers although the third row might be a bit tight. The front seats are very supportive and the driver’s seat is power adjustable in all models. They are covered in cloth while the leather upholstery will be standard in higher trims. The dashboard is made of soft plastics and features a 6.1-inch infotainment system on the base model. However, the top trims will receive an 8.0-inch touchscreen. As for the equipment, the base model comes with Bluetooth, 4.2-inch LCD screen, a rearview camera, tinted windows etc. Moving to the higher trims, it will add navigation, a moonroof, JBL audio system, a surround view camera, heated steering wheel, Blu-ray rear-seat entertainment system and so on. As for the safety, all the models come standard with automatic emergency braking, adaptive cruise control, active lane control, forward collision warning and automatic high beams. The 2018 Toyota Highlander should arrive this fall. Its price should start at around $35,000.